So what have you been reading lately? I am waaaay behind on book reviews, don't know if I'll ever catch up! 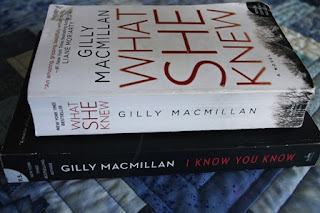 Today I'll share with you four recent reads by the same author- Gilly Macmillan. After several "bookworm friends" told me I had to read What She Knew, I took their advice and wasn't disappointed. 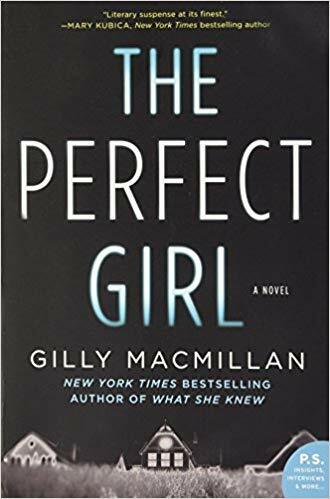 I read her next three as soon as I could get my hands on them: The Perfect Girl, Odd Child Out, and I Know You Know, and I'm sure I'll be reading The Nanny when it comes out this year. 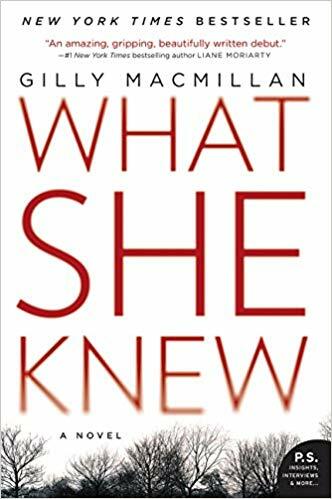 What She Knew, set in Bristol England, tells the story of an eight year old boy's disappearance and the ensuing search for him. His mother Rachel tries desperately to not fall apart as hours and days pass with no signs of her son Ben. Everyone surrounding Ben becomes suspect, from Rachel's newly married ex and his wife, to Rachel's "perfect" sister, to eventually Rachel herself. Macmillan does a fine job of convincing you the reader that you know "who did it," as each character comes under the harsh glare of suspicion. The story is told by Rachel and by lead detective Jim Clemo. I felt like I was in the middle of the police investigation, complete with the use of social media posts concerning the case. The characters are solid, and one cannot help but feel sympathy for what Ben's family are going through, understanding their angst. What parent could not relate? I know this is an over used line but I truly found it hard to put this book down. The chapters are short, which made it so easy to keep telling myself "just one more chapter..." An impressive debut novel. Of the four, I enjoyed it the most. 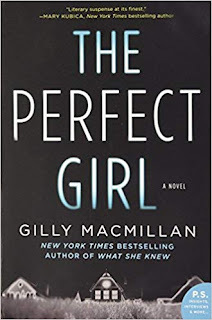 From the book jacket of The Perfect Girl: "Zoe Maisey is a seventeen-year-old musical prodigy with a genius IQ. Three years ago, she was involved in a tragic incident that left three classmates dead. She served her time, and now her mother Maria, is resolved to keep that devastating fact tucked far away from their new beginning, hiding the past from even her new husband, and demanding Zoe do the same.Tonight Zoe is giving a recital that Maria has been planning for months. It needs to be the performance of her life. But instead, by the end of the evening, Maria is dead. In the aftermath, everyone - police, family, Zoe's former solicitor, and Zoe herself - tries to piece together what happened. But as Zoe knows all too well, the truth is rarely straightforward, and the closer we are to someone, the less we may see." A good read as well but it just didn't seem to hold my attention like the first one did. 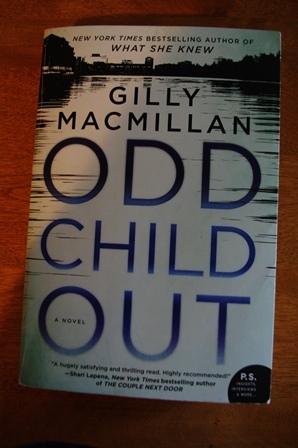 Odd Child Out, Macmillan's third novel is the second to feature Detective Jim Clemo, back from a compulsory leave after the Ben Finch case. From the book jacket: "Best friends Noah Sadler and Abdi Mahad have always been inseparable. But when Noah is found floating unconscious in Bristol's Feeder Canal, Abdi can't- or won't- tell anyone what happened. Just back from mandatory leave following his last case, Detective Jim Clemo is now assigned to look into this unfortunate accident. But tragedy strikes, and what looked like a simple case of a prank gone wrong soon ignites into a public battle. Noah is British. Abdi is a Somali refugee. And social tensions have been rising rapidly in Bristol. Against this background of fear and fury, two families fight for their sons and the truth. Neither of them know how far they will have to go, what demons they will have to face, what pain they will have to suffer. Because the truth hurts." What have you read recently that you found hard to put down? My favourite game is called "How many chapters can I read in one night?" I haven't read this author so I'm excited to hear that you liked them. 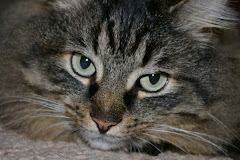 I'll go to my library and see if any are available as ebooks. I love to read! Hugs! 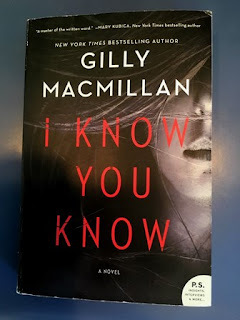 I'm going to check out this author I love a suspense novel that grabs your attention and holds on to it until the end. thanks for the reviews. 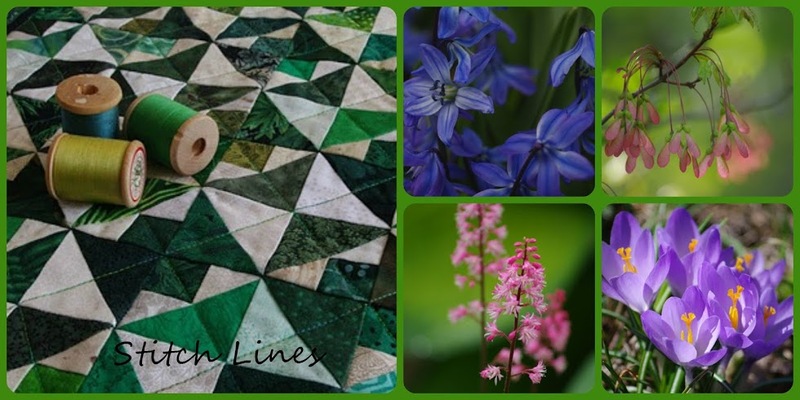 Loved all of these ones! Can’t wait for her next to come out. 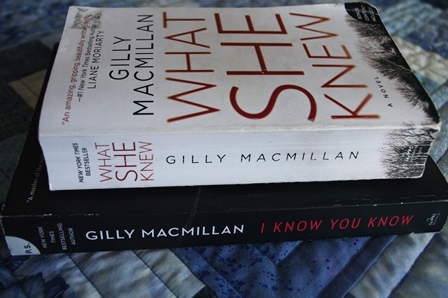 Haven't read any if these books but will check the library for them. I recently finished a great book "The Great Alone by Kirsten Hannah. 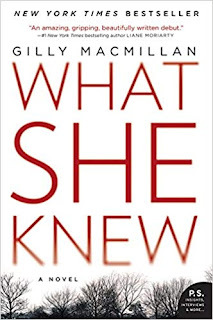 What She Knew sounds VERY familiar, but I've had a look at my book log, and don't see it listed. I'll reserve it at library. Thank you for the great reviews, Linda! The books sound very interesting. The first one would probably make me too anxious, because one's child missing (no matter what is their age) is certainly one of the worst things that can happen to anyone. 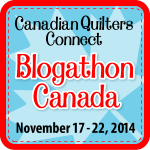 I'm reading more books this year (than for many years) because I follow a very enjoyable reading challenge.